Musically inclined at an early age, Elizabeth Elie is a star on the rise. Known to the world as Lizzie G, she has broken into the world of hip hop at an early age, which is no easy task. At the tender age of 11, Lizzie G realized that she had a natural talent for music when she began to mix beats and create tracks at a time when producing was not recognized mainstream. Taking it a step further, Lizzie G started to rhyme over her beats. When she realized that people were reacting positively to her music, she made it her mission to be an entertainer – dubbing the moniker Lizzie G, educated female rapper from Chicago. Featured on 107.5 WGCI, WPWX Power 92, ABC7 Windy City Live and Heart & Soul, FOX 32 Good Day Chicago, WCIU The Jam, CAN TV, DNAinfo Chicago, Rolling Out, The Miami Herald, The Las Vegas Review Journal, The Villager paper, Northern Star paper, Roosevelt Torch paper, Goddess Girl magazine, Just Me Magazine, Urban Matrix Magazine, Chicago Flex and WhoAreWeBlog.com, Lizzie G’s music has resonated with her generation. Her first album, Tha Queen Lizzie G, debuted in May 2007 and featured hits such as “L’s up”- an homage to her fans and supporters. By the release of her sophomore album, Tha Takeova in January 2010, Lizzie G’s lyrics became more conscious and infused upbeat, crowd-hyping tracks that rivaled modern club hits. Number #1 hit “Crank Dat Finess”, a song which urges people to express their own style of performance, is still a most requested song. 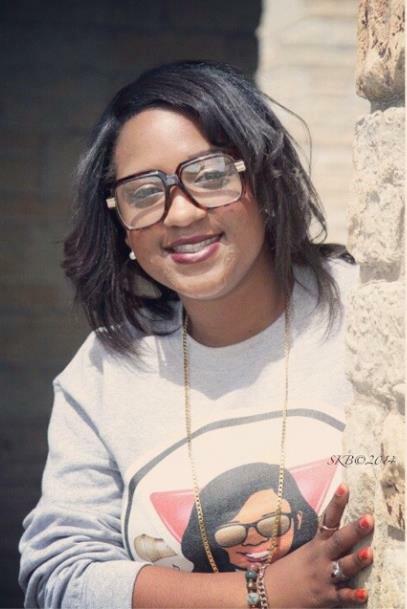 When Lizzie G debuted her third album, MAKE IT HAPPEN in February 2015, the booming 14-track project featured motivational lyricism encouraging youth to follow their dreams and stay in school. In February 2017, Lizzie G released her 4th album, LEVEL UP with 18 empowering tracks evolving from rapper to entrepreneur inspiring people to take their dreams and goals to the next level. Lizzie G’s message is a powerful one – it encourages young people to express their talent while gaining an education, you can do both. She has taken this message on the road at various performances both nationally and internationally, including: The Highlander in Paris France, Haiti, Dominican Republic, African Festival of the Arts in Chicago, Bud Billiken Parade, Black Women’s Expo in Chicago, Chicago Public Schools back to school rallies, pep rallies, Homecomings, peace rallies, fashion shows, dance competitions, unity showcases, nightclubs and many more. Lizzie G holds a Master’s Degree in Integrated Marketing Communication (IMC) from Roosevelt University and is a member of Delta Sigma Theta Sorority, Inc. She is also the President and CEO of LIZZIE G ENTERTAINMENT, LLC. When she’s not on the road performing or in the studio, Lizzie G is invited to perform at many school events across the world, playing the drums and giving back to the community through various charitable organizations. Lizzie G continues to break new ground, and remains to be one of hip-hop’s most innovative emcee. LIZZIE G ENTERTAINMENT, LLC is your one stop shop for all positive entertainment needs- from motivational speaking, workshops and or live musical entertainment at Schools, Corporate Events, Dances, Weddings, Birthday Parties, Music Festivals and more - all stress free! Enter your email address to follow LIZZIE G and receive notifications of new posts by email.